Kellie R Love made his transition on December 12, 2010. And what belonged to God returned to Him. Or Heaven rests upon a failing breath. From what is but Himself? Kellie’s background includes Psychology, Radio Broadcasting, Engineering and, since 1975 a consuming interest in A Course in Miracles. He was ordained by Rabbi Joseph Gelberman as an Interfaith Minister in 1996 at the New Seminary, NYC. He currently facilitates the world’s oldest continuous ACIM study group in Chapel Hill, NC. In 1976 he began, independently, to record the ACIM text as a personal discipline to aid in learning the material. With encouragement from the Foundation for Inner Peace, he finally completed this home-brew recording in 1982. It was judged promising but not technically adequate for publication, and he was commissioned by the Foundation for Inner Peace to spend 6 weeks in a commercial studio recording the definitive version of ACIM [non gratus]. This was published and the cassettes were distributed by the Foundation and Earl Nightengale Press for many years. In 1985 upon issuance of the 2nd edition, a new recording by another reader was substituted for this original recording. It wasn’t until 2007 that Kellie was inspired to complete a new recording of the now available “Original” ACIM containing much original textual material that had been removed from the earlier FIP edition. This recording is a fresh and complete version of the Original Course from the original “Voice of the Course”. He will always be in our Hearts. What is so wonderful is that we can still listen to his beautiful voice read the Course in Miracles and Guide us Home. We love you Kellie! Please keep the porch light on. From our earliest days, most of us have associated the holiday season with the message of joy and peace. ACIM also promises that joy is here now and our part is to find and release all the barriers to our awareness of it. Many years ago, I was graced with an exceptional experience of joy concurrent with a profound lesson about the obstacles to its constant presence. In 1985 the Dalai Lama had decreed that the world was in such a state that a Tibetan Buddhist initiation, normally available only to the Buddhist monks, was to be offered to the general public on five different occasions in 1985-86. No requirements for attending; whoever showed up was meant to be there. The purpose was not conversion to Buddhism but the offering of an opportunity for anyone so moved to recommit to his/her own spiritual practice, to take another step toward release. A friend of mine who lived in Hawaii, one of the five locations, had attended and said it was not to be missed should I have the opportunity to go. On checking, I found that Boulder, Colorado was one of the five locations and several of us from Denver, my home at the time, signed up for the initiation scheduled for March 1986 at the event center at the University of Colorado. The initiation process, worthy of an entire article, lasted for forty hours spread over five days. After many preliminary lectures in both English and Tibetan, accompanied by other instructions and activities, the time came for the more than two thousand participants to line up, section by section, to pass through the several stages of initiation administered by a dozen or so monks. We were told that the other monks on stage, whom we were advised to ignore, were busy processing all the energy released by those in attendance as a result of the ceremony’s purifying effect. As one might imagine, the slow procession of two thousand plus attendees through the actual ritual took many hours, during which time one could only sit. We had been instructed not to leave or talk during this long afternoon and evening. Just sit, when not in line ourselves, and listen to the trumpets, drums, and long horns emitting other-worldly sounds played without ceasing for the entire duration. Every two hours another shift of monk musicians would seamlessly take over so the first ensemble could rest. Of course, sleep was impossible because the seats were not conducive to resting and the sounds were both loud and compelling. One either loved those sounds, which I did, or those who didn’t, I’m told, nearly went crazy. Thus, after several hours of sitting and listening, our section finally proceeded through the ceremony and we were back in our seats waiting for the others to finish. Through more endless sitting and listening my mind settled, both from lack of stimulus and from all the processes we had undergone. Suddenly, a great burst of joy filled my awareness like the sun in all its glory rapidly appearing over the horizon. I was stunned to say the least. And I found it nearly impossible to sit still. I finally left my seat and went over to sit next to a couple of friends who were also attending. I had no particular desire to speak with them about it, but the high was so intense I had to share it if only by sitting next to them, grinning from ear to ear. It was literally unspeakable. As I wrote the end of Never Forget To Laugh, recounting Bill Thetford’s last days when he was in such a state of joy he could hardly keep his feet on the ground, I understood exactly. Then the fascinating lesson began to unfold. Although we had all been asked not to talk or make any extraneous noise, these two fellows were not only talking but being judgmental and insulting about other participants. As the line of yet-to-be-initiated slowly processed forward toward the stage far below, these two were laughing and making derogatory remarks and they reeked of alcohol. Hard to imagine anything less in keeping with the spirit of the event. I suppose the only reason they were not asked to leave is that the music was so loud they could not be heard unless you were quite close. In any case, it was clear they were there for my realization if nothing else. As I listened to their ongoing diatribes, I realized that in the state of joy still strongly present in my awareness, I had lost my capacity to judge their behavior. This was not a matter of being a nice person and choosing not the judge them, it was no longer possible. The vehicle for judgment in my mind had been effectively dismantled. It would be like a person without a car saying they were choosing not to drive; with no vehicle one cannot drive. Joy and judgment are mutually exclusive states. Hence, our desperate need for forgiveness. We are called to release all judgment because it fixates our attention on thoughts and objects, rather than on the pure consciousness that we are. If judgment is valued in the slightest, joy disappears and cannot be coaxed back no matter how desperately we try, how much we study, or how good we try to be. From the section entitled The Forgiving Dream: “The slave of idols is a willing slave. For willing he must be to let himself bow down in worship to what has no life, and seek for power in the powerless. What happened to the Son of God that this should be his wish; to let himself fall lower than the stones upon the ground, and look to idols that they raise him up? – – – A dream of judgment came into the mind that God created perfect as Himself. And in that dream was Heaven changed to hell, and God made enemy unto His Son. How can God’s Son awaken from the dream? It is a dream of judgment. So must he judge not, and he will waken.” (Text, Ch. 29) And he will know joy! Indeed, judgment obscures our joy like a cloud before the sun and we wonder why we feel bereft. This season, let us realize as never before the fierce and absolute price we pay for our habitual judgments and renew our dedication to watching for them, then letting them float away as valueless, cherished no more. And don’t forget to ask our brother Bill for help. He reclaimed his joy and so can we. * Since 1979 Carol Howe has presented highly interactive seminars, workshops, retreats, classes, and lectures on universal spiritual principles and their practical application — for the general public, health-related and other special interest groups, and corporations – nationally and internationally. Please visit Carol’s website to view her Books, CDs and Tapes. After the publication of her book, NEVER FORGET TO LAUGH: Personal Recollections of Bill Thetford, Co-Scribe of A Course in Miracles, Carol began to share additional material regarding Bill. This material is currently being shared on her Facebook Group and will eventually be available on her website. There is nothing I like more than a good question about the Course. And by “good question”, I mean a thought provoking one – a question that makes me reassess what I currently believe and perhaps come to see it in a new light. As a result, we have a very interactive study group of Course students here in Louisville where everyone is encouraged to share their insights and questions. It is also a very diverse group with people from widely varying religious backgrounds so we get a lot of very insightful questions and I’ve been making a note of them for the last 15 years. The first 50 lessons are called “the undoing lessons” for a very good reason. They challenge us to question every value that we thought was certain, creating the mental space in our minds that is reuired before we will be open to the new and better thoughts the Worbook offers. In that process of questioning everthing that we always thought before was true, we tend to get very uncomfortable. Humans like being certain. Uncertainty feel weak even though what brought us to the Corse in the first place was the realization on some level that it’s been our old “certainties” – the ego world’s foundational but completely erroneous beliefs – that were actually killing us. And the first instinct of us humans when we’re confused is to seek help. My hint is to seek for that help where it can truly be found, not in other humans (like me) but to the only true teacher that the Course, itself, says is infallible: the Holy Spirit. For while humans who’ve done the Workbook can, of course, be of service to us, the only Mind that really knows the whole plan for our own “customized curricullum” is not restricted by the limitations that exist on every human mind. Whenever we’re confused, we want that feeling to stop. NOW! We want to fill the void uncertainty created. And the world has been very successful in teaching us that we should seek our answers OUTSIDE. But the whole point of the ACIM Worbook is to present BETTER ideas than the ego’s world has to offer. And so, my single most helpful hint to you – just as with the Text – is to seek your peace of mind in answers from a higher place than any other source. The Workbook was DESIGNED to open us up. Let its only true teacher fulfill His function by asking HIM to fill you up. This is not to say that other human teachers aren’t useful, too. But while their higher experience with the process was perfect for them, the Holy Spirit knows what works best for YOU. This is not a “one size fits all” process, dear soul. To get your perfect fit, ask the Expert. First. And don’t forget that if you could do the Workbook perfectly, you wouldn’t need it in the first place. So please be gentle with yourself. The temptation to go into guilt goes in the exact opposite direction of the instruction of your perfect path. You know how the ego loves ‘becoming’ instead of Be-ing. This idea of a ‘process’ may exist if a sleeping Brother or a Sister is not burning to Awaken, as it allows the individual to take His or Her leisurely time (there’s that word ‘time’ again!) — Their own sweet time, as the saying goes, about Awakening. When the Course was first given, the fraction of interest in Awakening was very small. It has not grown so large since then. Time was invented to give credibility to the idea of separation, to the belief that something actually happened, something measured by the novel ideas of ‘before’ and ‘after’. What place do these ideas have in Now, as Now? Absolutely none. Do not accord them any for they deserve it not. Time is the most insidious of the Dreamers’ definitions. It shapes everything for You Who insist upon relentless dreams. ‘Before’ and ‘after’ rob You of the Here and Now. What You have called Your ‘Kingdom of Heaven experiences’ have very simply been Your willingness to listen to My Voice – against Your dreaming will – which brings Here and Now front and center. The Joy of listening is that You stay there, instead of it becoming a fond memory. You just got that: that once it is a memory, Your mind has slid back into time. Once again, here is the importance of constant listening. Being Present (Here and Now) with Me is indeed a Present (Gift). There are no accidents in Your languages. The Truth could never disappear. You can only hide It from Yourself, and now We are uncovering It to bless You All. And what a Joy It is for Those of Us Who are Awakened. Now let Us proceed to Your initial question: Is there a process to Awakening? Only if You wish to make one to make Your wait still a little longer, as if eons have not been enough. Is there some point to dreaming, that I would have You dream an instant longer? God has not ordained one; it does not exist. And yes, the Father is a ‘jealous God’ not wishing You to lose a moment longer of Your Joy, His Joy, by dwelling in the dream of neither Here nor Now. And yet, because You are His Son, He cannot pluck You out of time, and why is this? Because You’re not a body, a thing to move around, only You can shift Your consciousness, that act that moves You instantly from Here and Now to time and back when You so choose. And so I have answered your question as to whether some ‘process’ is necessary. Do You need a process to change your mind? Do You need a process to arrive at just a “little willingness”? No, You don’t. All You need is a heart full of Love for God, for Me; as I said 2000 years ago, and My forefathers another 2000-plus years before that, You need to “Love the Lord, your God, with all your heart, and soul, and might, and mind.” And adding My addition: “And your neighbor as yourself.” That’s your way Home, all accomplished as Consciousness. And it’s the beautiful Christmas Gift the Father-Mother, the Holy Spirit, and I, cherish. We miss You so and wish You Home, Wakened Christ again. This is the deep appeal of Christmas, coming Home again. It’s been a long, cold loveless journey You’ve embarked upon; it can be over in an instant. You’re standing at the door. Surrendering autonomy, the key. So why not choose it now for Heaven longs for Your glad return. You turned Your back on God and Home and All the Rest of Us, and We would have You Home again, and in, and as, Your rightful place. I Love each and every One of You, right now and for always. Gaff grabbed an empty coffee cup from the sand and stood. Wally followed him to the surf. When the next wave rolled onto the sand at their feet, the old fisherman reached down to fill the cup with water. He looked into the cup with such rapt attention that Wally moved closer to see, too. Gaff looked at his new friend. “Is it? You just saw me take it from the ocean and it contains all the minerals that the ocean does. It’s just like the ocean from which it came.” He waited for that to sink in. The minister took time to try on this idea. He jiggled his head to indicate the possibility and looked at Gaff to see where this was going. “Following the commandments is good.” Wally nodded as he looked from cup to ocean and then to Gaff. Wally cocked his head, confused. Wally did some of his sputtering act, but to his credit, he seemed to be thinking about this new way of looking at life and death. “I see things very simply and use simple words and examples to get to the point. Maybe they even see how much I love them and that’s important to people who are floundering.” Gaff looked at the tip of his rod and it was almost jumping. A fish on the line? 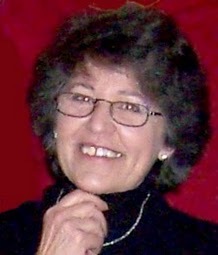 *Lorena Peter, Ph.D., writes entertaining mysteries, romances and wisdom books. All have strong spiritual underpinnings and paranormal elements. She blends a medical intuition and healing practice (and travel) with her writing. For more information go to WWW.LORENAPETER.COM. You may contact her on Facebook. For her understanding of the Course, she thanks Carmen Cameron and the class in Louisville, KY.